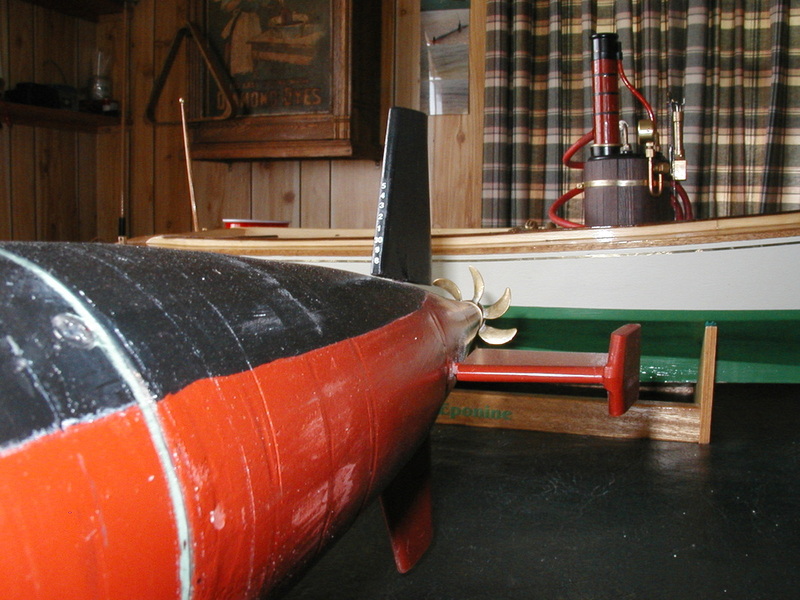 One of the largest models ever to roll out of the RapidNadion shipyards, this 51" (1:250 scale) model is entirely scratch-built out of wood. 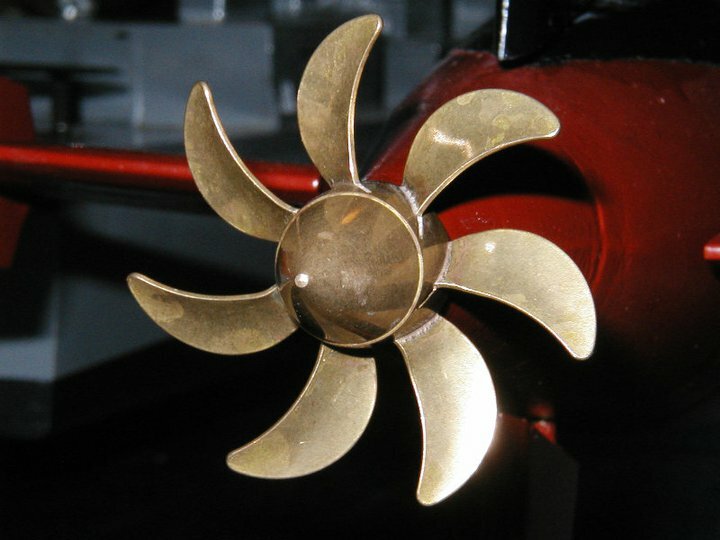 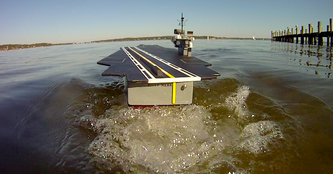 One electric motor paired to a single propeller drives the ship at scale speed and beyond. 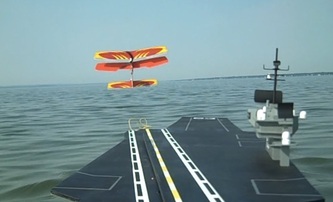 A simple rubber band-powered catapult system mounted below the flight deck provides launching capability for any of a number of small-scale aircraft. 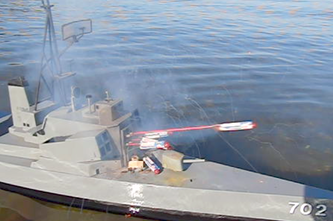 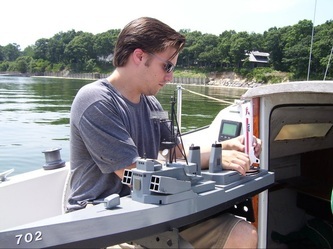 A word from the builder: "CV-63 is the largest scale R/C boat in our fleet, and was built from leftover scraps of plywood wall paneling. 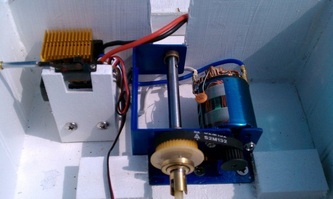 Propelled by a 24v motor and a belt speed reduction drive. 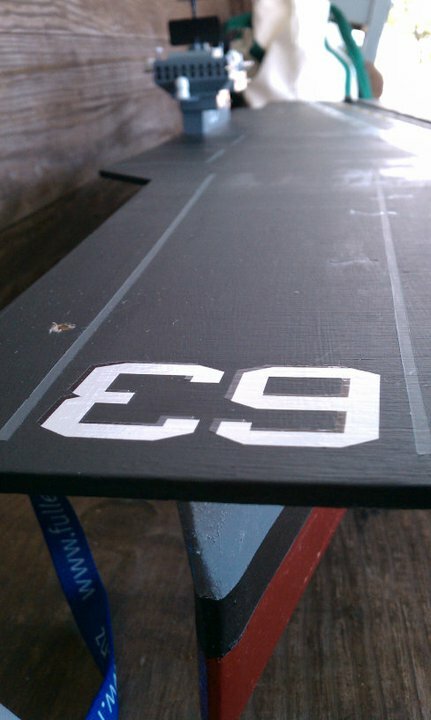 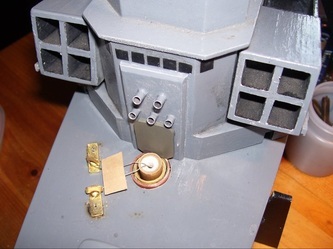 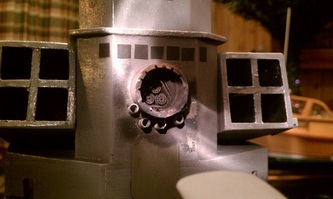 The painting and flight deck detail were was most satisfying part of the build." 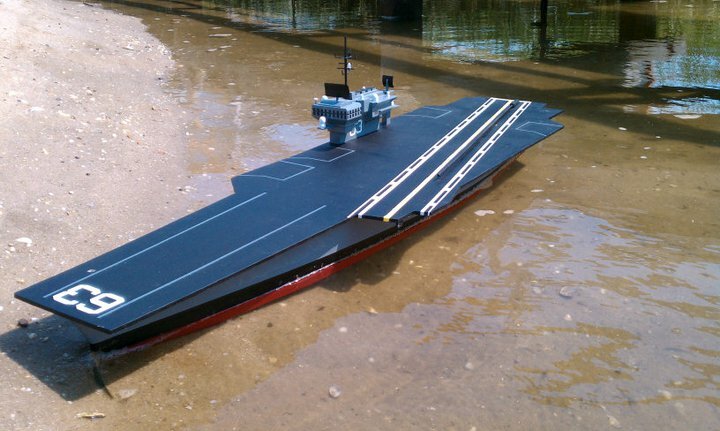 Future improvements may include an arresting gear system for landing aircraft, and a dry-ice reservoir for flight deck "catapult steam" effects. 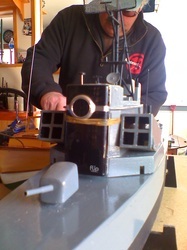 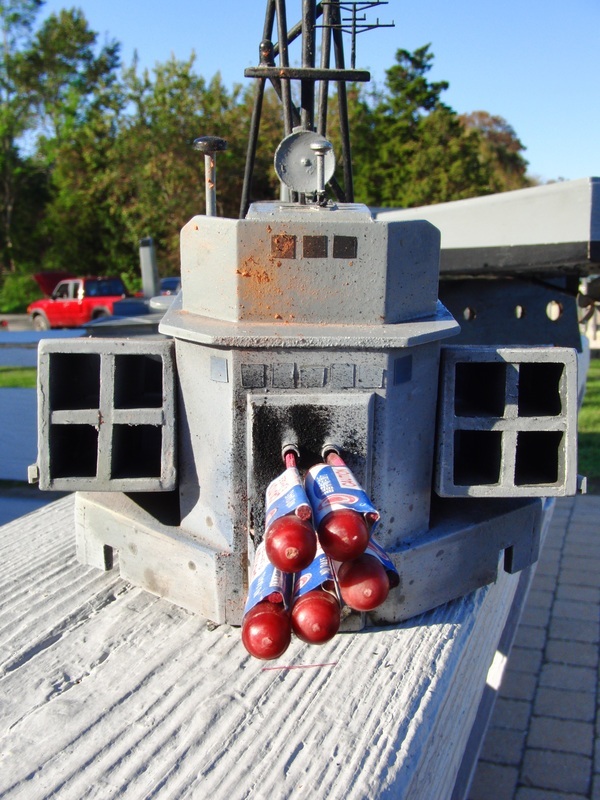 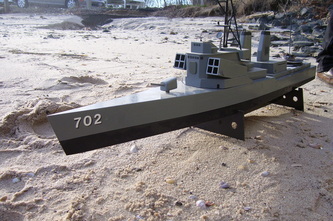 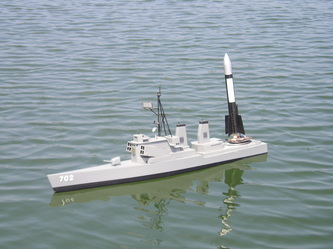 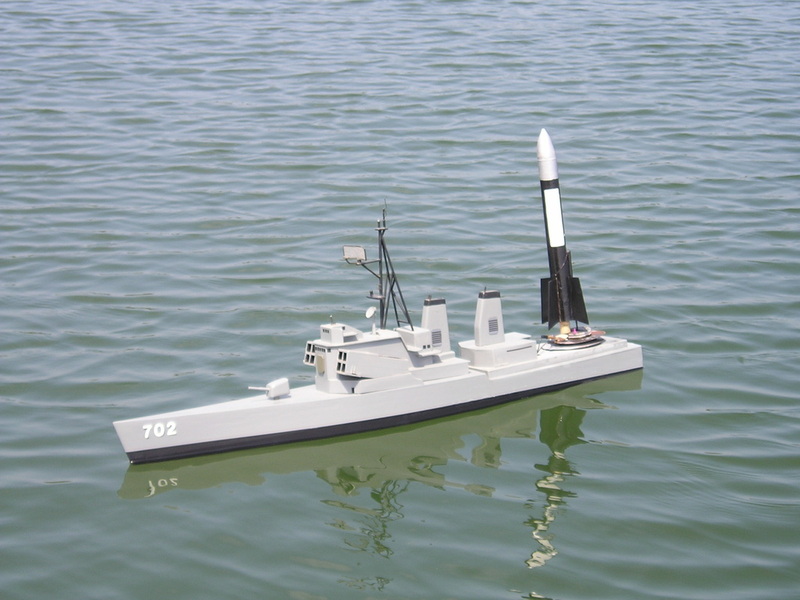 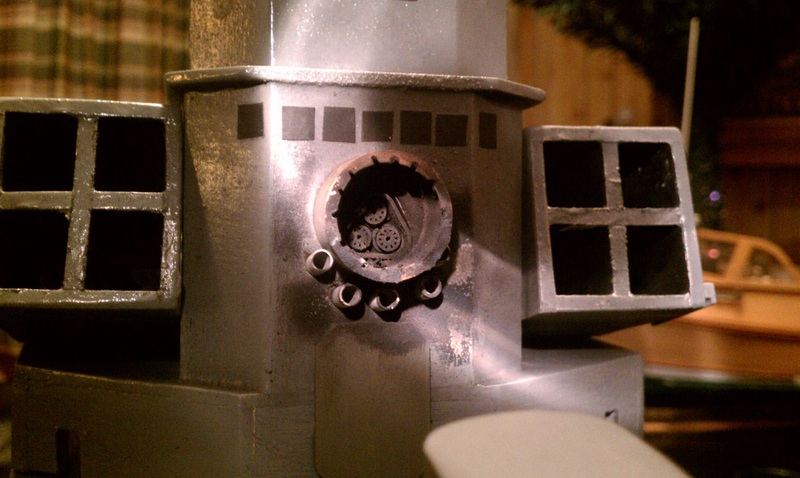 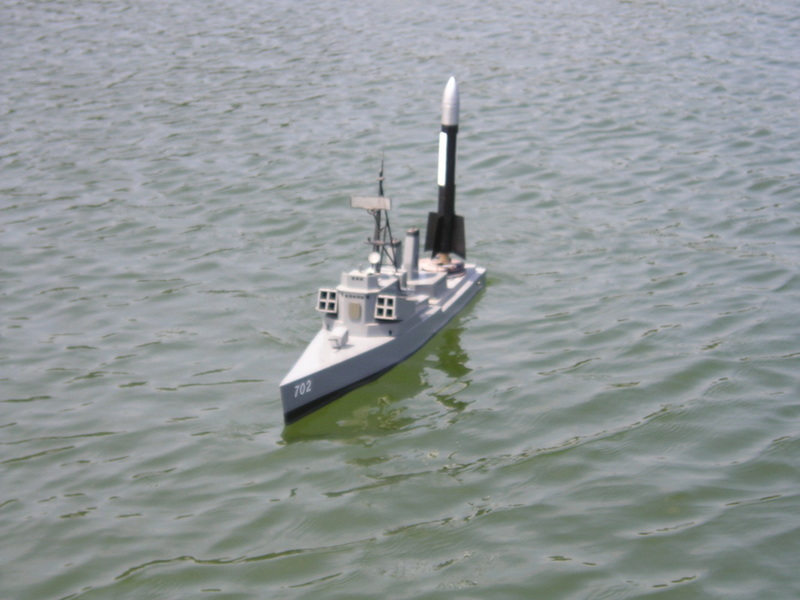 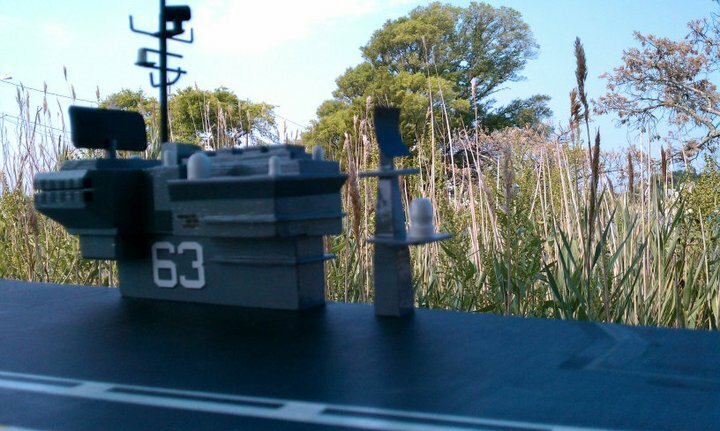 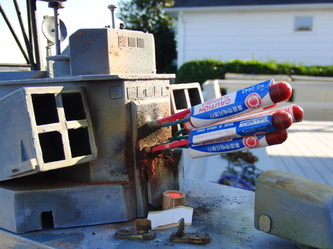 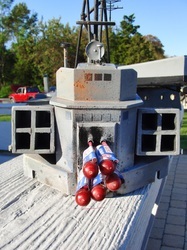 Another scratch-built creation, this model incorporates elements of modern warship design (Aegis phased-array radar panels, 5-inch deck gun) with throwbacks from an earlier era (large mast-mounted radar dish, hull number) and some entirely unique components. 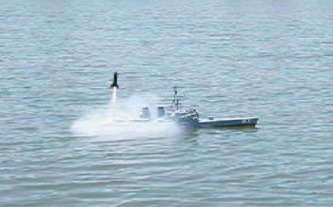 This model has undergone many refits to accommodate various mission profiles, but all have involved firing projectiles. 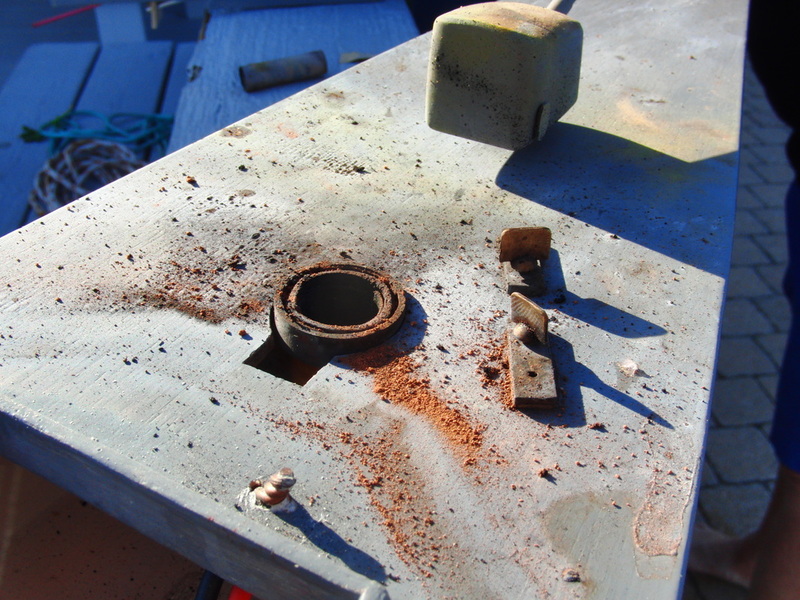 Inside Info From The Builder: "Hull construction is cheap plywood underlayment, done over the course of a long weekend - the superstructure took another week." 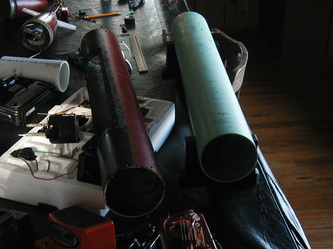 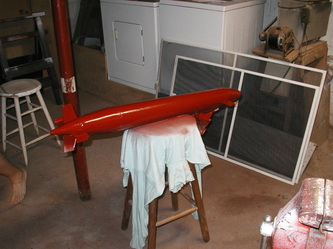 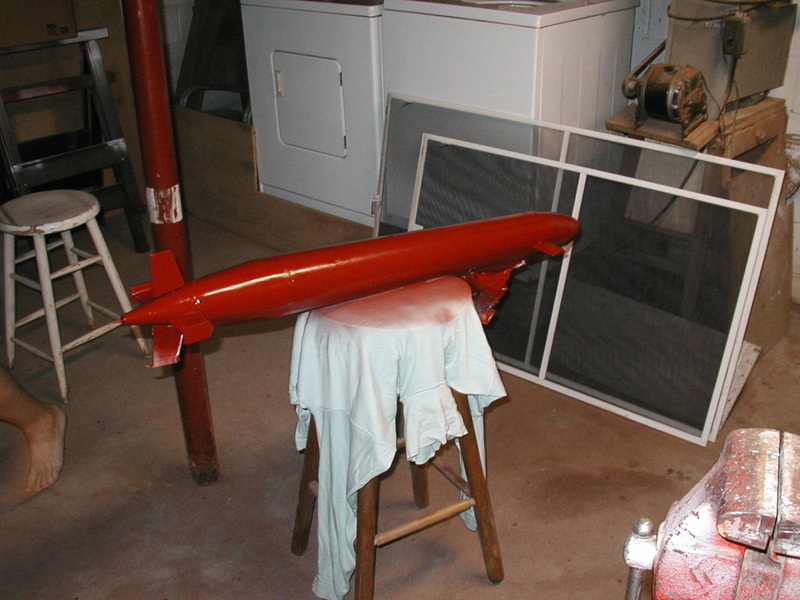 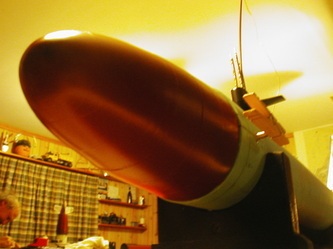 The initial configuration (2006-2010) incorporated a launch pad aft for firing small Estes-built and scratch-built rockets. 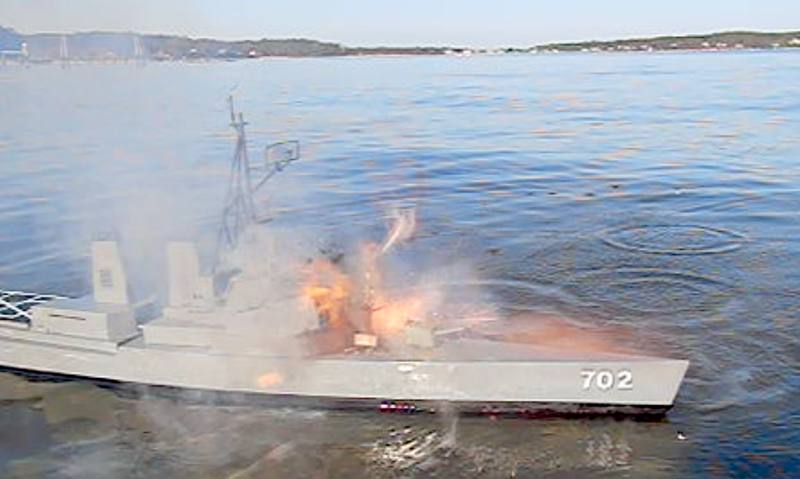 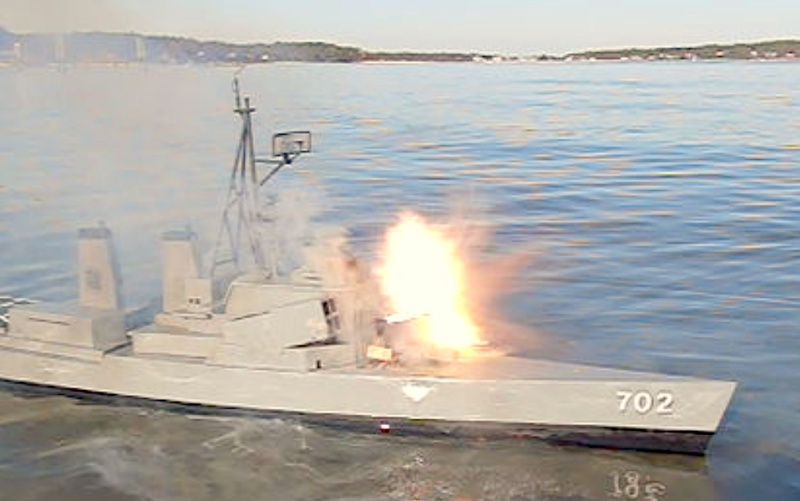 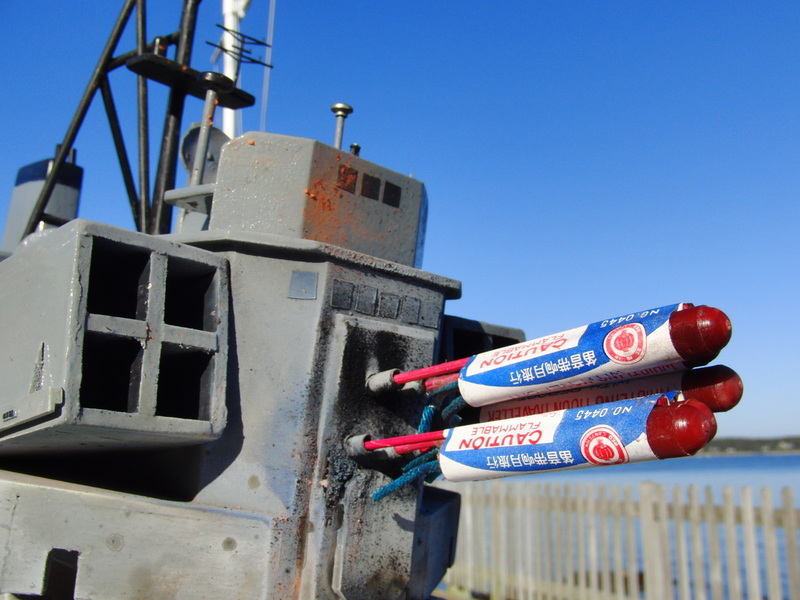 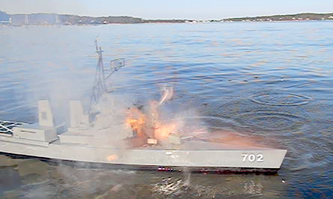 A refit in 2010 added the capability of firing bottle rockets from launchers installed in the forward superstructure. 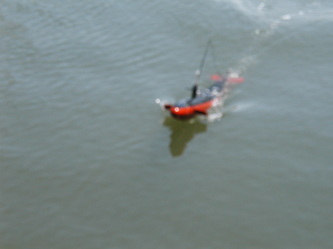 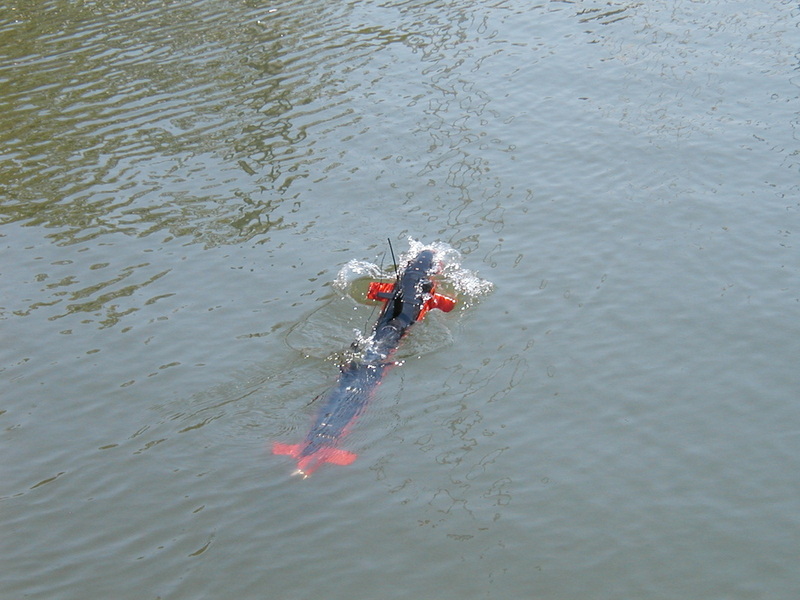 Firing is accomplished by ordering full right rudder (combined with right-rudder trim) on the transmitter. 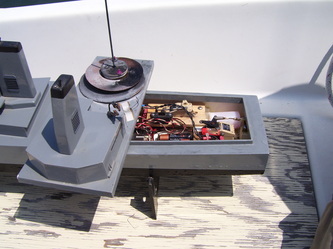 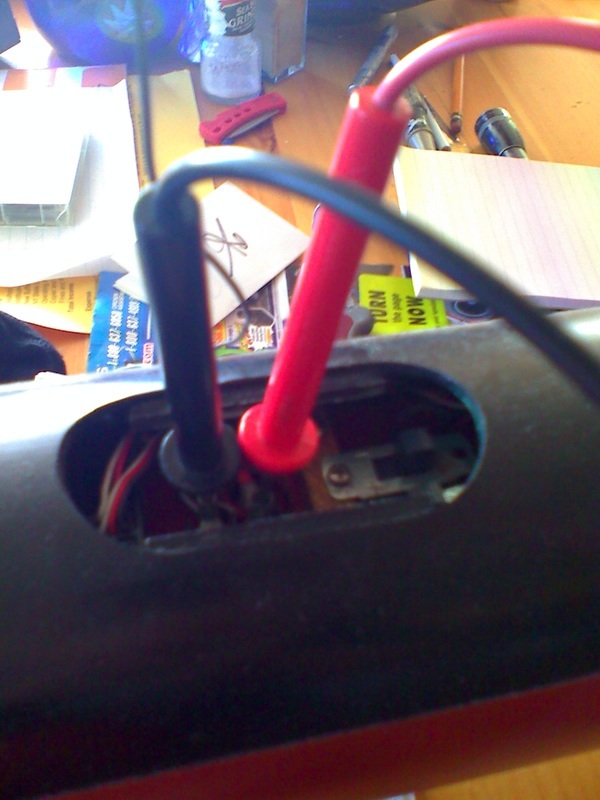 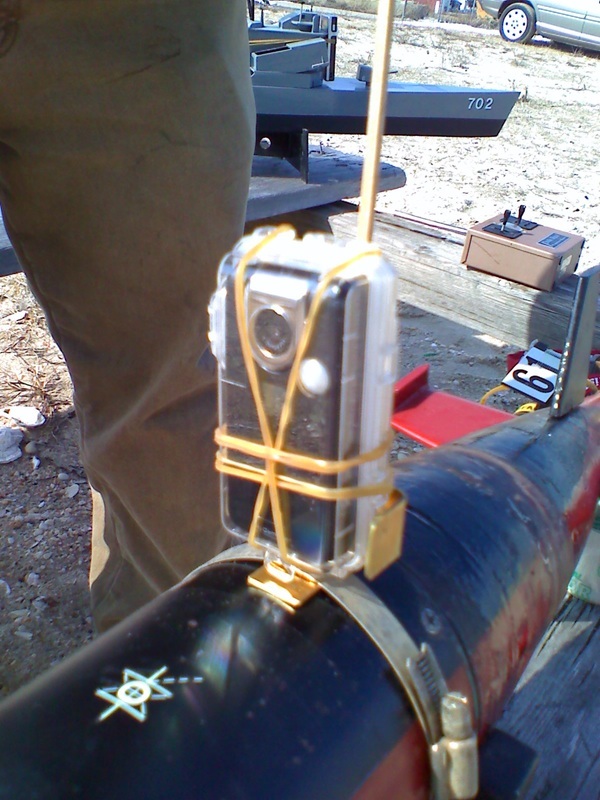 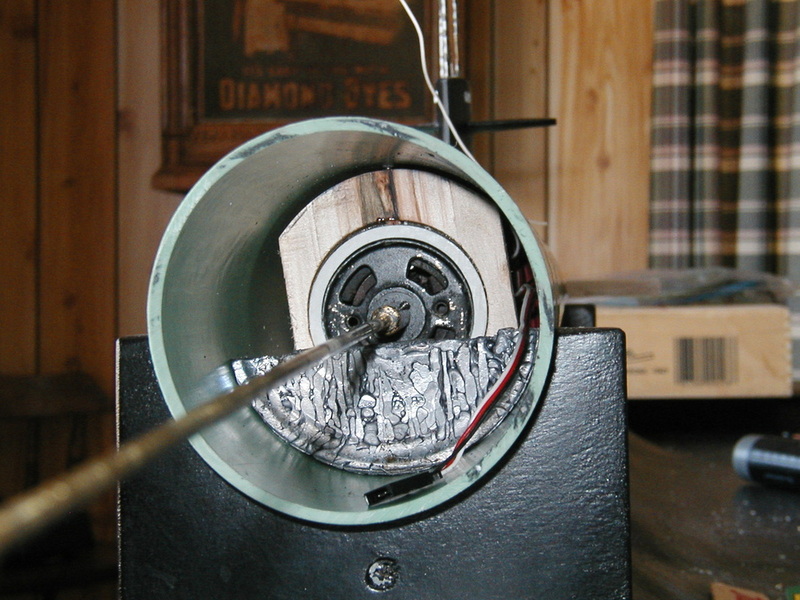 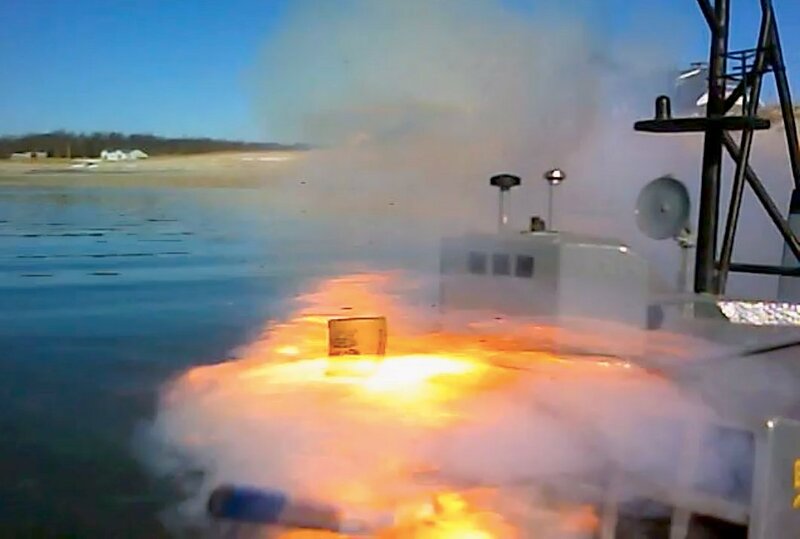 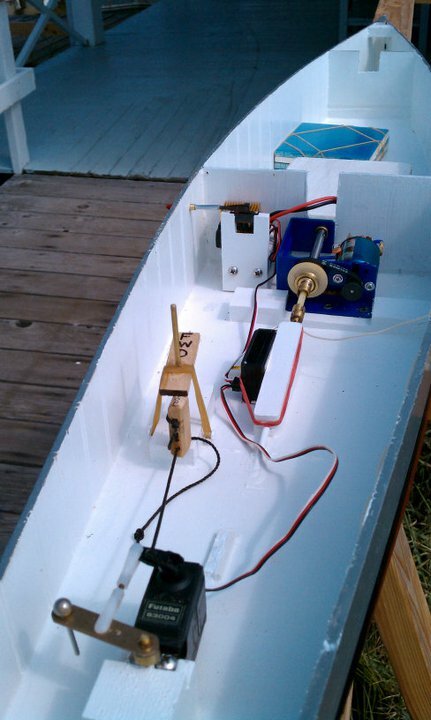 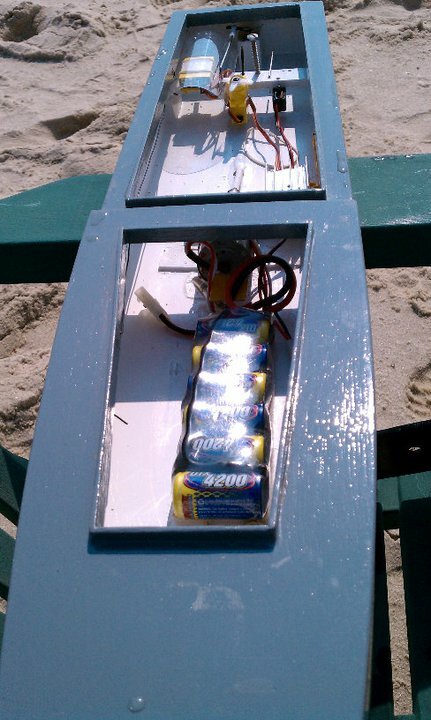 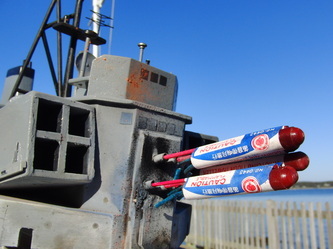 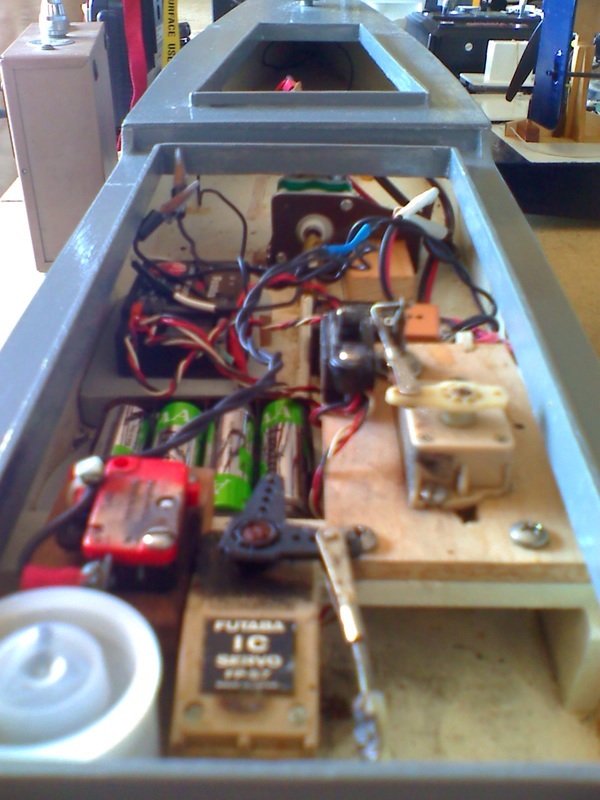 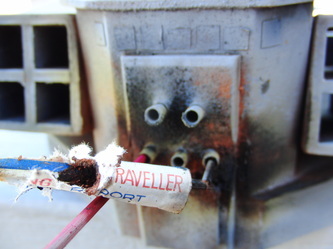 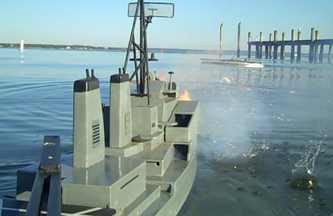 This puts the rudder servo arm in contact with a firing relay connected to an on-board battery, sending voltage to an igniter that touches off the ordnance. 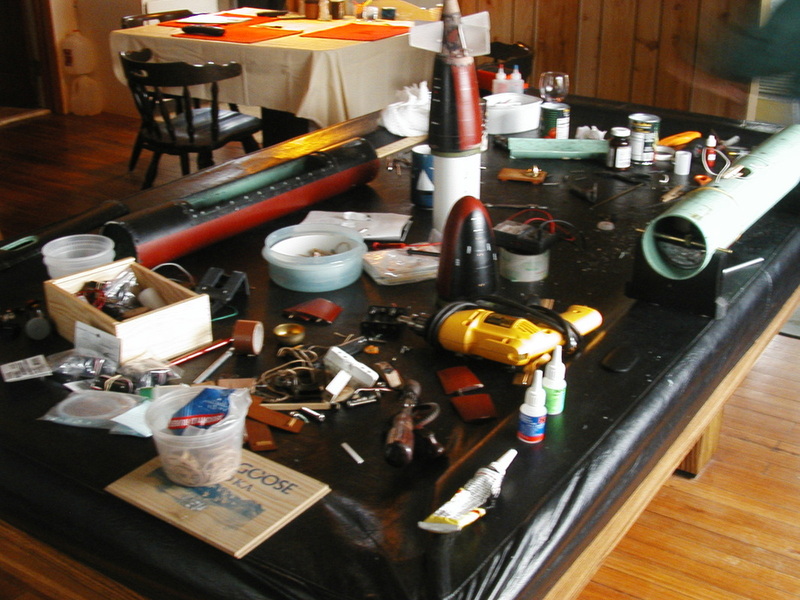 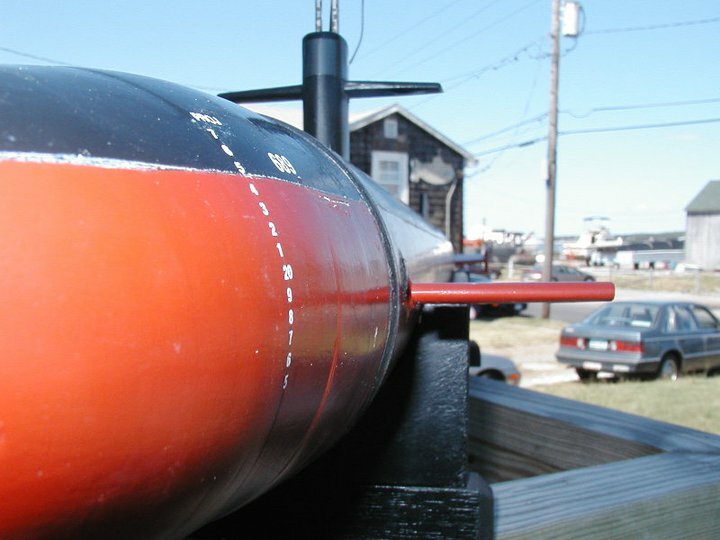 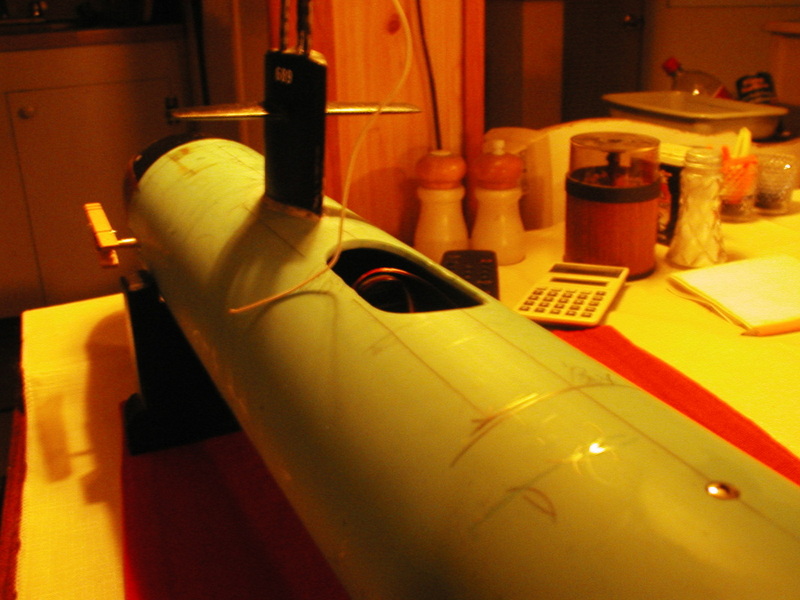 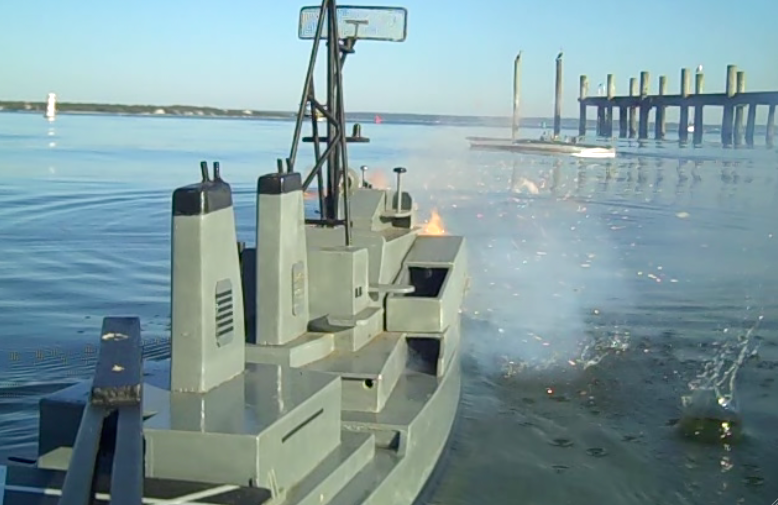 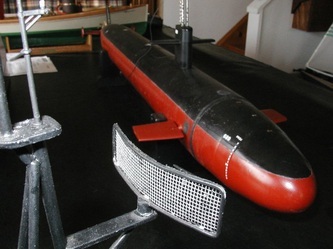 Bringing new meaning to the old nickname "sewer-pipe sailor," this scratch-built dynamic-diving submarine was constructed from wood, brass, epoxy ... and a PVC sewer pipe. 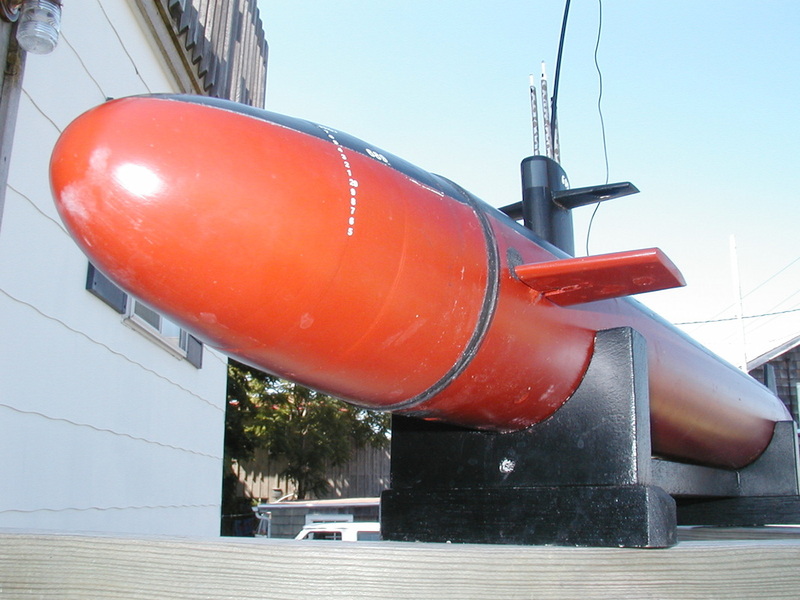 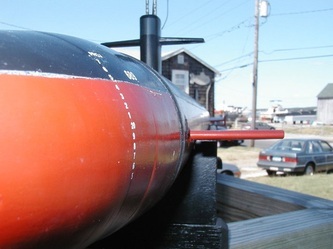 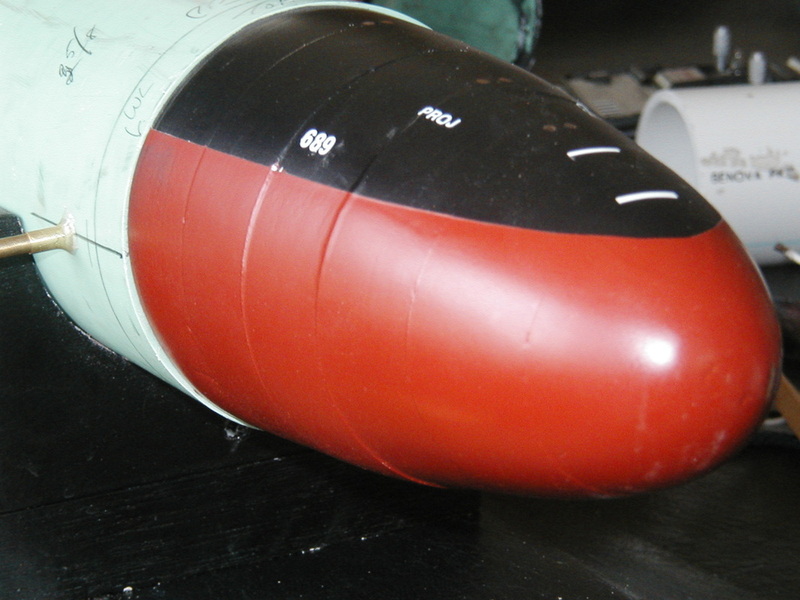 The sonar dome and tail cone were fashioned from discs of wood of decreasing width, which were then epoxied together and sanded down to their current shape. 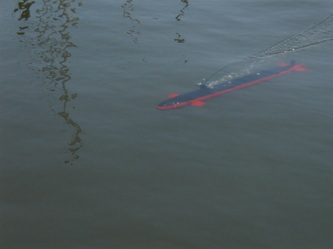 Diving is accomplished dynamically, meaning the submarine's buoyancy is temporarily overcome by water flow over the bow- and sternplanes. 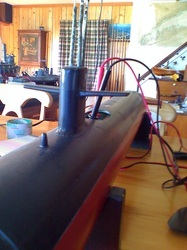 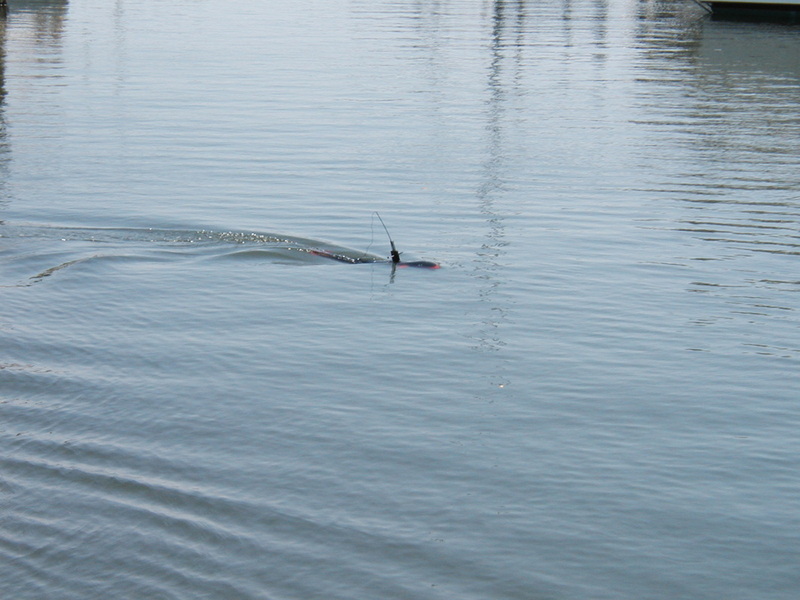 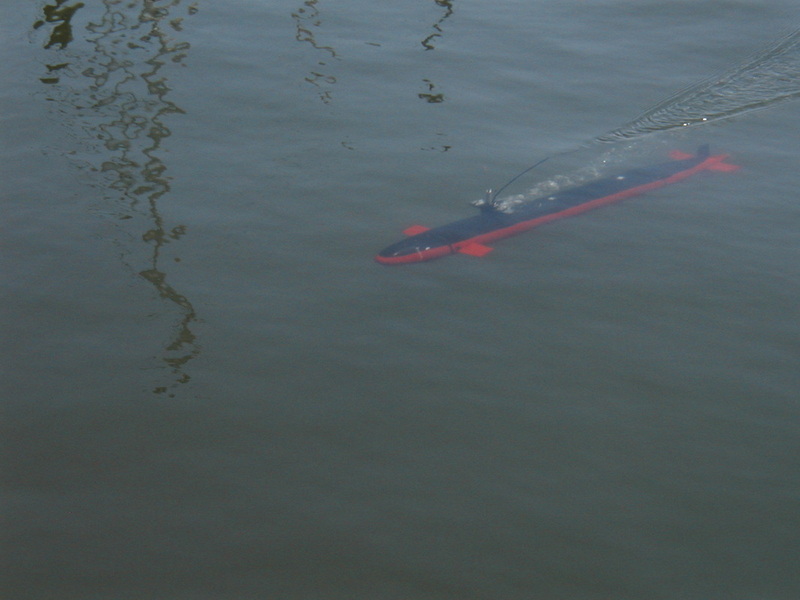 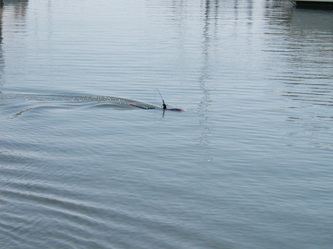 If the submarine loses power or radio signal, propulsion stops, and the boat floats back to the surface. Baton Rouge was given a major overhaul around 2006, when her initial hull was replaced with a new PVC pipe section with an improved hatch design. 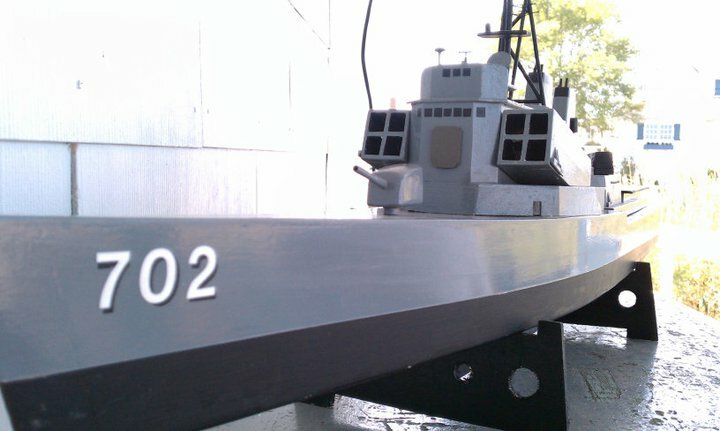 The photos below show her in drydock during this period. This boat experienced catastrophic flooding during a normal diving evolution in December 2009, causing it to sink to the bottom of Peconic Bay with a camera on board. Fortunately, she was recovered approximately one week later after a fortuitous encounter with a local SCUBA-diving class. The damage to the internal equipment was extensive. 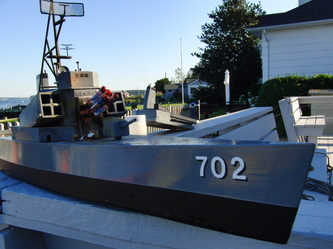 As of winter 2011, she was officially scrapped. 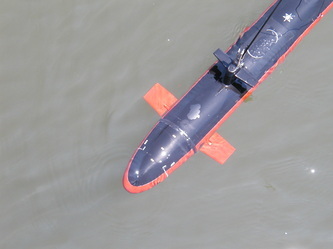 Some of her components (nost notably her sonar dome) were re-used in constructing SSN-774 Virginia.